This article introduces an activity designed to educate and engage people with key concepts in genomics. The activity was designed primarily for school students aged 14 to 18 years old in the UK. However, it can be augmented for almost any audience. Bella Starling, Wellcome Trust Engagement Fellow, has done the activity with policy makers, to explain key concepts and raise important questions in genomics, and with participants at the 2017 Wellcome Trust International Engagement Workshop, to demonstrate the value of hands-on engagement. In schools, this activity is designed to take a full school day and comprises of two exercises: DNA extraction and the Bitter Taste exercise. Caption: This thirteen minute video takes you through the two exercises as demonstrated at the 2017 Wellcome Trust International Engagement Workshop. 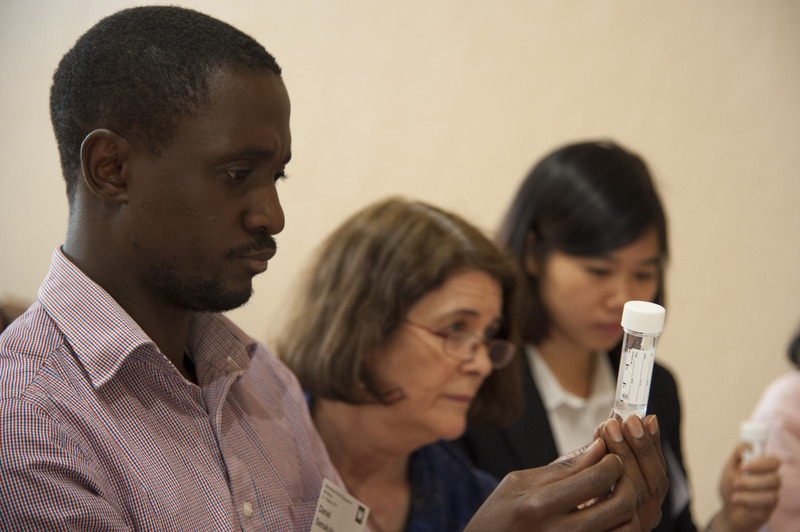 This demonstration gets participants to extract their own DNA, stimulating interest in and discussion about DNA and genomics. To run this exercise yourself simply follow the below guidance. Get your participants to follow the instructions below. Remember to stress that the DNA will be disposed of after the exercise, not used for anything else, and ensure it is disposed of in a responsible way. 1. Put a small amount of water in a plastic cup. The water should barely cover the bottom of the cup. 3. Spit the water out into the cup, try to avoid making too many bubbles when you do this. 4. Add a small pinch of salt to the water. 5. Add one drop of ordinary detergent to the cup. 6. Swirl the mixture around (don't shake too much, we don’t want too many bubbles). 7. Transfer the mixture to a Universal tube. 8. Gently pour in alcohol or isopropanol (about the same quantity as water) to form a layer on top of the water. 9. Put the lid on the tube and leave the tubes for a few minutes and the DNA will appear as white clumps, like opaque string. 10. When finished, unscrew tube, and tip everything into a bucket. This activity gets participants to test themselves for a particular genetic trait and then, with interest attained, the activity lead explains this trait through a presentation on genomics. To do this exercise you simply need some small strips of paper coated in the chemical PTC. Ask participants to take a piece of paper and put the paper on their tongue. Watch their reactions and select people to ask what they can taste - hopefully, some will have tasted something bitter, and others nothing at all. 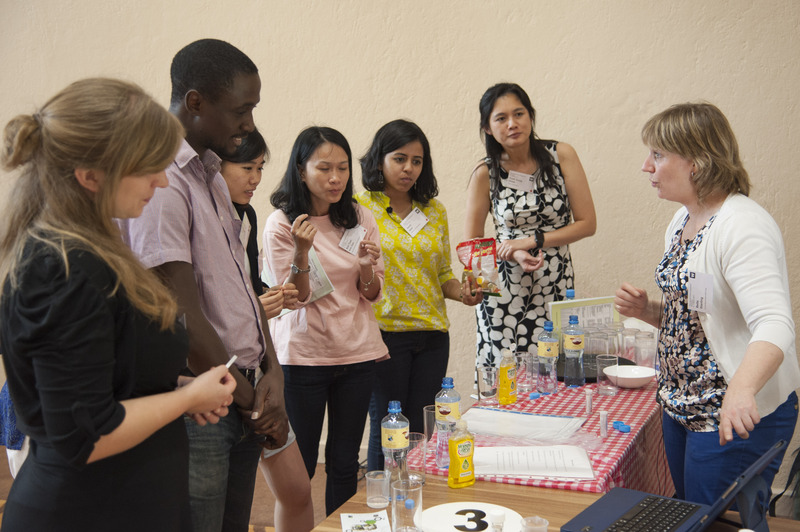 Once the tasting is done, take participants through the PowerPoint slides to explain why some tasted something, and others did not. The slides include notes for information on what to say as you take participants through it.